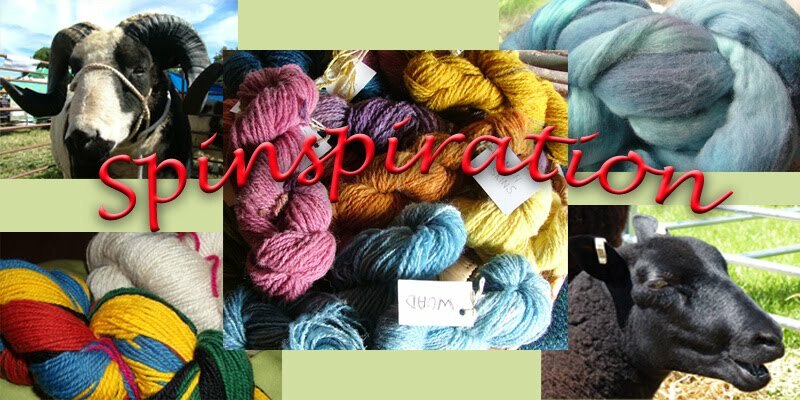 Well there's nothing like a blog get together to inspire one to get on with some spinning. This week I have dug out a bag of Hebridean wool obtained a few months ago. Beautiful glossy black wool, soft to touch and absolutely full of lanolin. I really like to spin wool in the grease, so I thought I would spin some of this without washing it first. 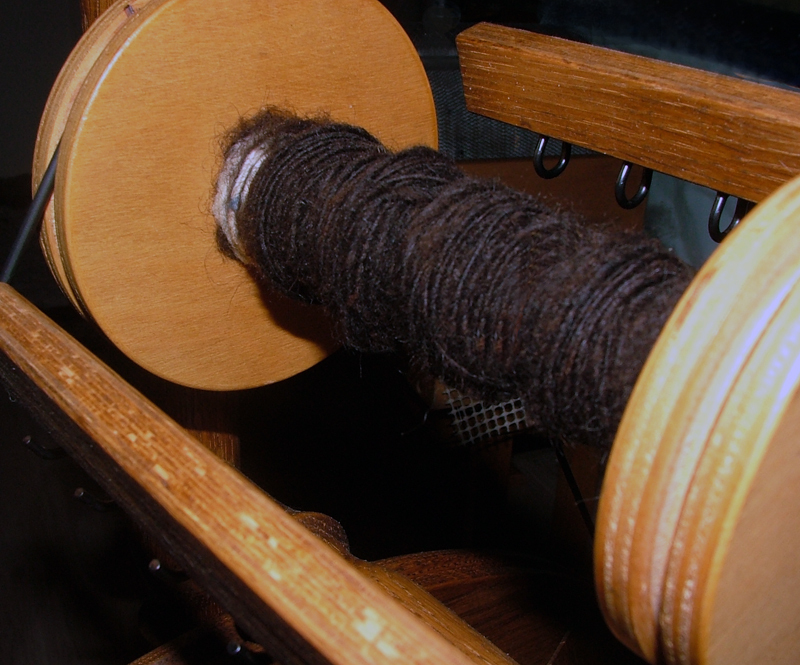 It was a pretty clean fleece and didn't require much sorting and picking, just carding and spinning. I tried a little just spun from the locks, combed but preferred it carded into a batt. I've not spun Hebridean before and found it quite different to other wools. I don't know if it was because is was so soft, or so greasy, or perhaps because it was dark wool that I was having a little trouble ensuring there was enough twist to hold the wool fibres together and occasionally felt it was going to break. I got the hang of it eventually but am going to experiment with washing some now to see if that makes a difference. Here is some of the lovely wool spun into a single. So hard to get the true colour in a photograph, but it's close. I think this will be better plied from two singles rather than left as a single or navajo plied. I have quite a bit of the Hebridean wool so may look at spinning a fair amount of it before deciding what to do with it. Hebridean sheep (also known as St Kilda) are an ancient sheep breed descendant of sheep brought to the UK from Scandinavia by the Vikings. The Hebridean was first classed as a rare breed back in the 1970's, although this has now been lifted as numbers have increased. Their fleece ranges from black to browns and often the tips are sun bleached. Fleeces can also vary from coarse to fine and soft. 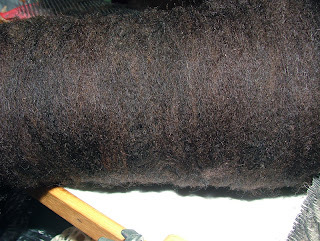 I'm glad to say that the fleeces I have are mainly black with some brown tips and it is so lovely and soft. 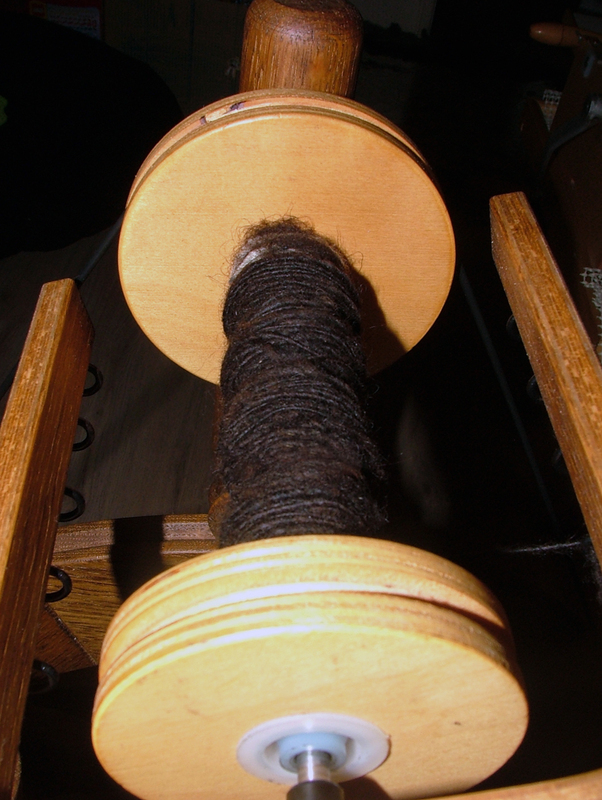 So just a little bit of spinning done this week, busy with other ventures too but it's good to get some done. You can see why the beauty industry likes to use lanolin in their products, spinning this wool in the grease has left my hands so soft, it always does and I also find my nails grow stronger when I've done a fair bit of spinning. Check back later for a linky post to link to us with anything you have been doing recently that is fibre related.